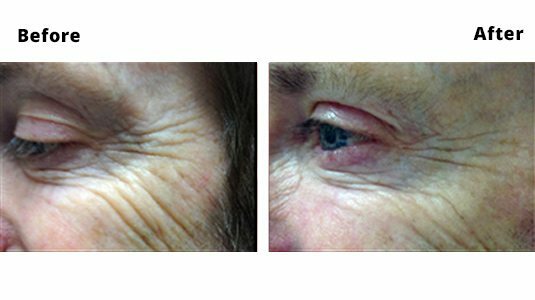 Smile lines may occur from childhood or may develop later in life but can be treated with our anti wrinkle injections. Smile lines are the lines that appear at the side of the face when we smile (also known as Crow’s Feet). These lines can be present from childhood and like everything can be more prominent in some individuals. The lines are caused by the tendency for the skin to fold and are totally dependent on the shape of your face, the size of the muscles involved and of course how often you use these muscles to smile and laugh! Treatment involves a few tiny treatments on each side of the face and literally takes less than a minute. In terms of pain, most people describe the treatments as ‘not sore at all’ or ‘just a pinch’. Usually treatments are repeated twice or three times per year.